We finally found noodles that don’t turn mushy by lunch when in a thermos. 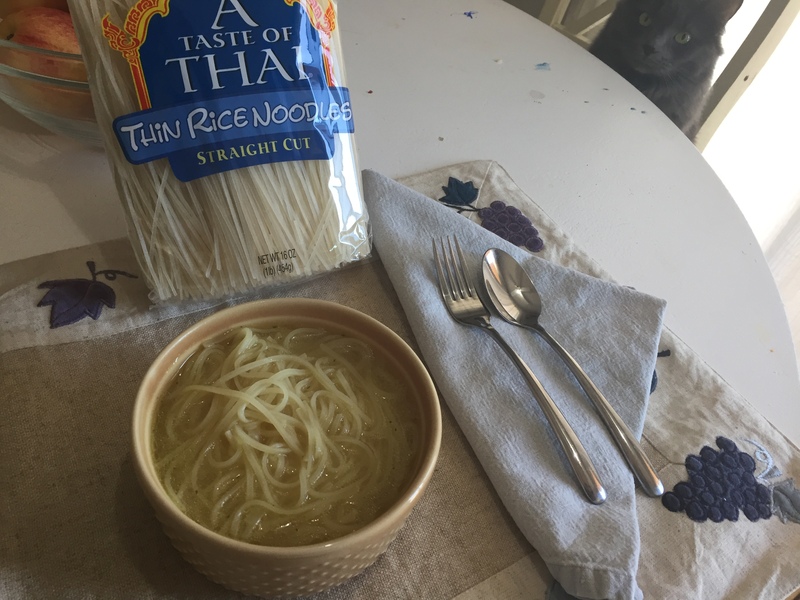 These Thai Rice noodles are great. My kids have been taking soup for lunch with these noodles quite often this winter. We heat up bone broth to a rolling boil and add the noodles. The noodles only need about 3 minutes in the boiling broth. Put the hot soup and noodles in a thermos and they will be fine at lunch. If you want to add vegetables or chicken while the soup is boiling it makes a hearty lunch, or a Pho-like dinner.